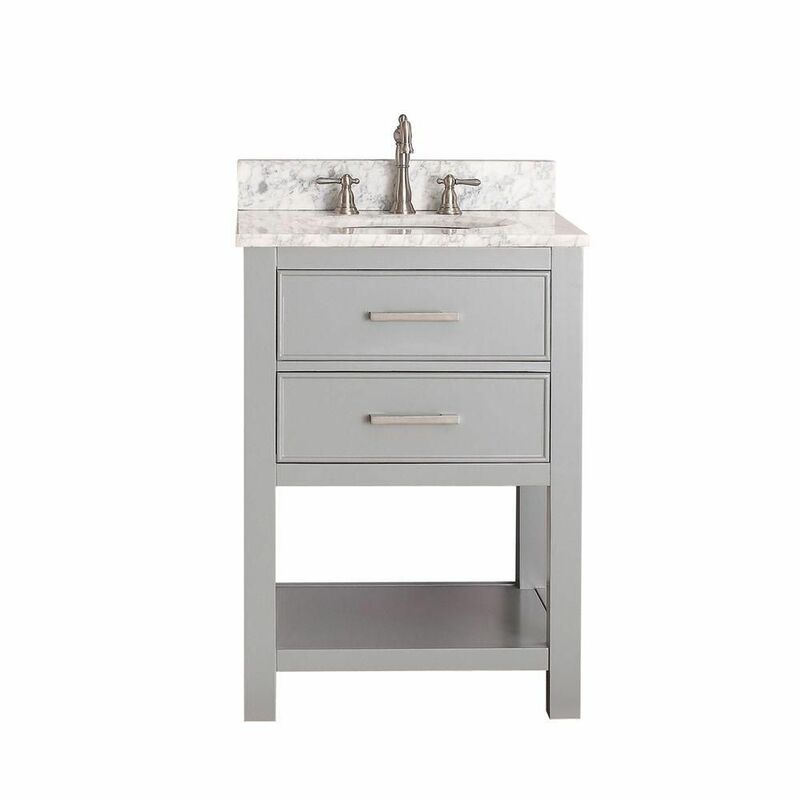 Brooks 25-inch W 1-Drawer Freestanding Vanity in Grey With Marble Top in White Use this vanity to bring more traditional style into your bathroom. Its white marble counter and grey solid wood base are very easy on the eyes. This simple vanity set from Avanity will fit right into any bathroom decor.